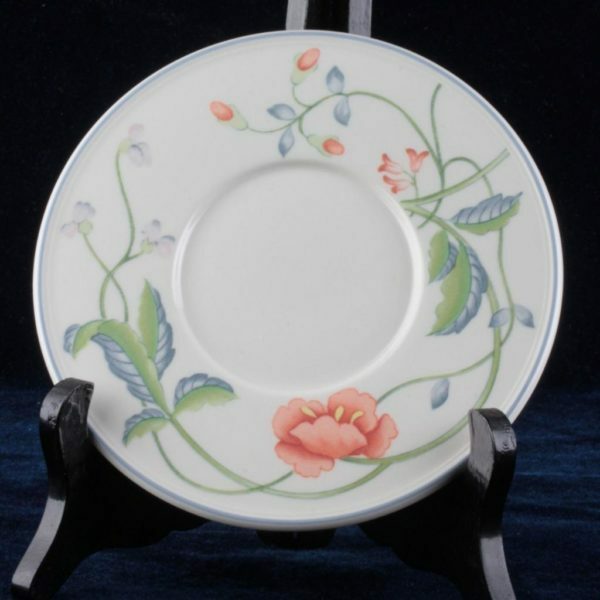 Today we are offering a saucer set designed and made by Villeroy & Boch of Germany. 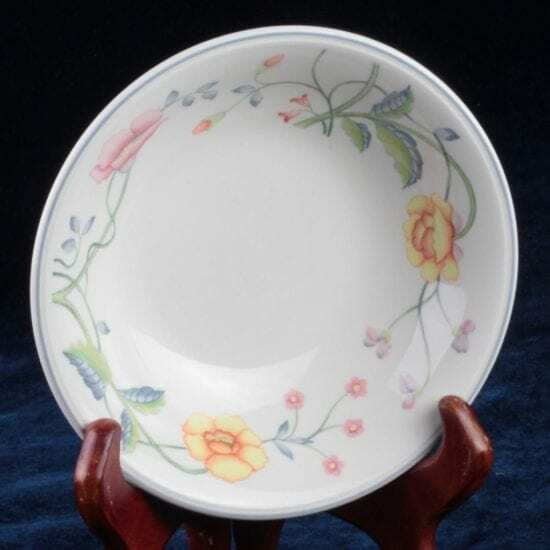 This piece is in their “Albertina” pattern which features a clean and simple leaf vine pattern with various flowers throughout. 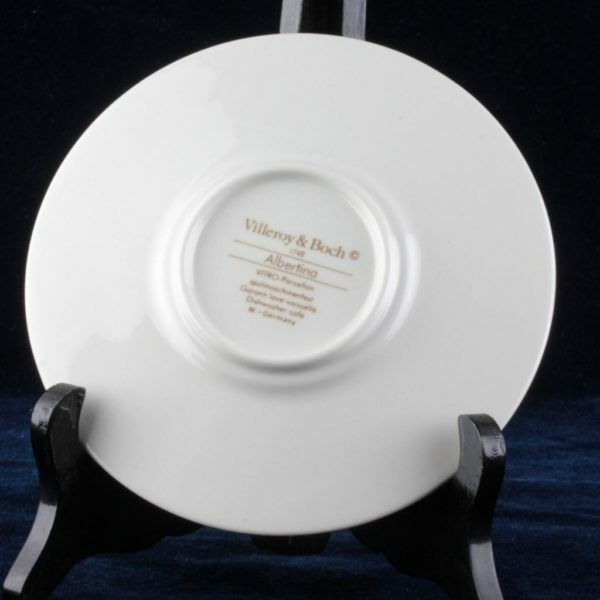 Markings on the bottom include “Villeroy & Boch – 1748 – Albertina” alongside “Dishwasher safe”. 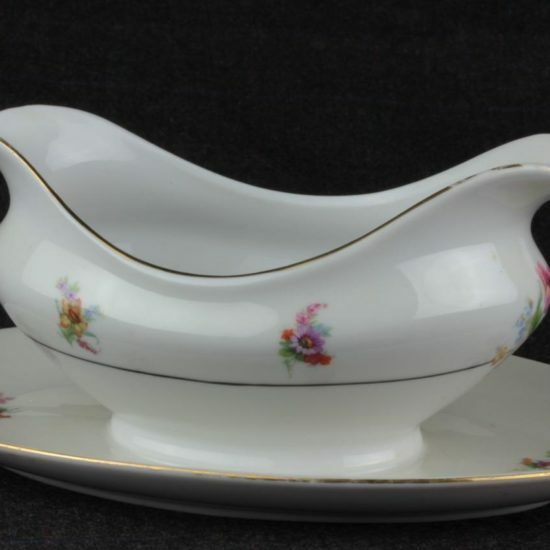 This item displays beautifully showing no chips, scratches or repairs and remains in excellent condition ready to be enjoyed, collected and displayed. 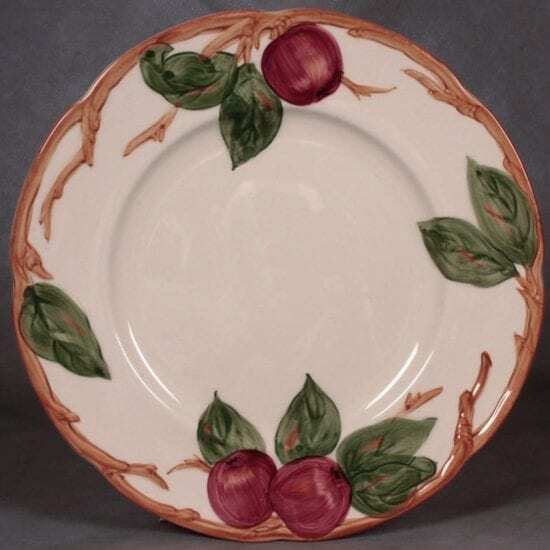 Plate measures approximately 6″ in diameter. 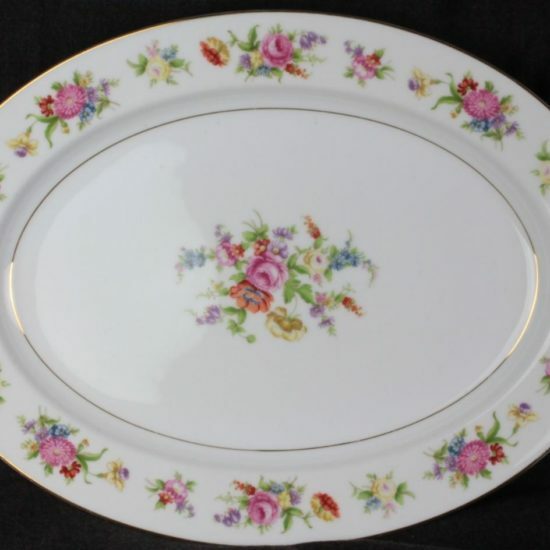 Please see our other listings for more of these lovely dishes including dinner plates and other serving pieces.